Please don’t let money inhibit your dream of flying!!! Established in 1940 to help deserving 99s members to further their accomplishments, today the Amelia Earhart Memorial Scholarship Fund exceeds $4 million and provides The Amelia Earhart Memorial Scholarship Program. Founded in 1940, it is The Ninety-Nines’ premier scholarship program for deserving 99s members to complete advanced training and education in aviation and aerospace. 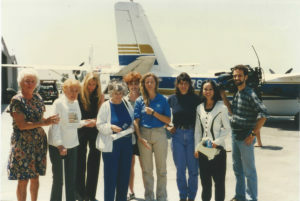 For over six decades the 99s have provided fully paid scholarships to help women pilots complete pilot certificates ranging from Commercial to CFI and ATP; ratings such as instrument, multi-engine, and jet type; technical training such as A & P certificate; and college education for degrees in aviation, including Bachelors, Masters, and PhDs. Each year, The Ninety-Nines award several Amelia Earhart Memorial Scholarships to qualified members for advanced flight training or courses in specialized branches of aviation including additional pilot certificates and ratings, jet type ratings, college degrees, and technical training. Among other eligibility requirements, the applicant must be a member of The Ninety-Nines for at least one year. The Fall Fly Now Award Application deadline is September 15. Membership join date must be no later than August 15 of that year. AOPA Foundation Primary Certification Scholarships: Multiple scholarships ranging from $2,500 to $75,000; must be an AOPA member to apply; age 16 and up; can use the money toward their initial pilot certificate including sport, private or recreational. 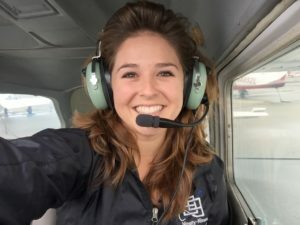 AOPA Foundation Advanced Rating Scholarships: Multiple scholarships ranging from $3,000 to $10,000; must be an AOPA member to apply; age varies depending on rating; can use the money toward an instrument, commercial CFI, CFII or MEI rating. 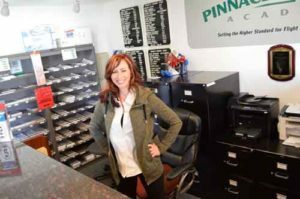 The San Diego Ninety-Nines offer 5 Scholarships for flight training. 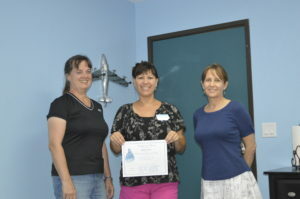 Scholarship awards for training are offered to student pilots and licensed pilots of all ages. Scholarships offered through International headquarters can be found on the 99s Scholarship Summary Page.